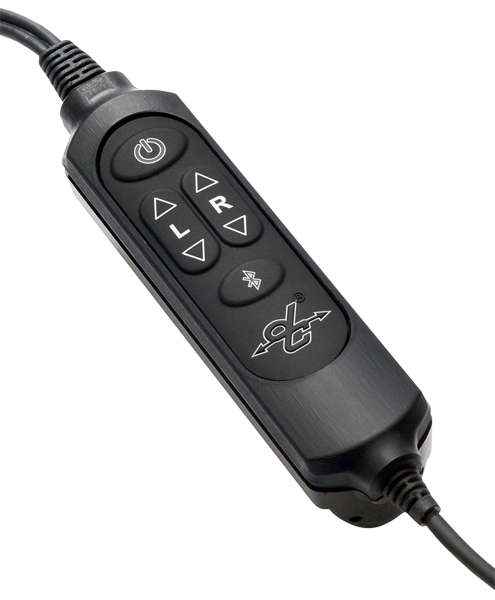 Compact, multi-function control module puts a variety of operational functions right at your fingertips. Roll over numerals surrounding module at right to view features. For complete operational information, view or download the DC PRO-X Quick Start Guide. Press and hold for two seconds to turn on Bluetooth wireless technology. Flip open battery compartment on back of control module. Unit runs on two (2), 'AA' batteries. Battery life up to 50 hours.